You’ve Built Your App—Now License It! 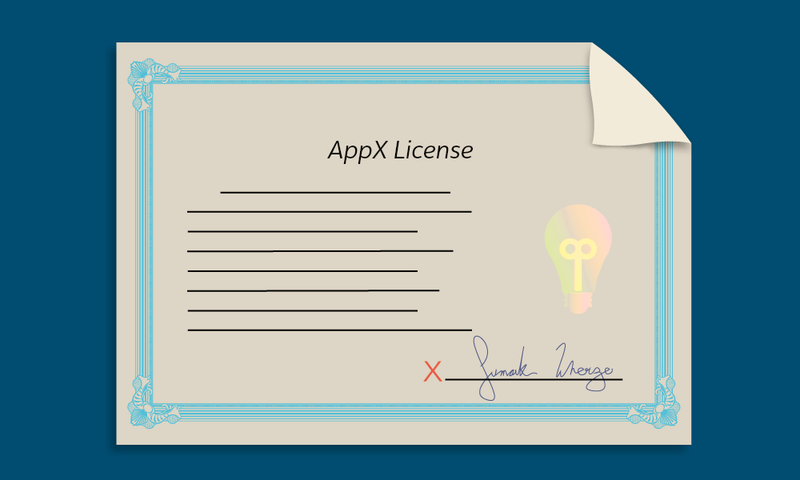 Explain the difference between Salesforce licensing and AppExchange app licensing. Identify the different licensing options. List the stages in the customer lifecycle. It’s been quite a ride, and you and your team have a lot to be proud of—your app is ready for business! Now it’s time to sell it. How do you sell your app on the Salesforce platform? That’s a hefty topic, involving everything from marketing strategy to sales. For the business stuff, take a look at our AppExchange App Selling module. Here, we focus on how you create a profitable business by selling licenses to your prospects, converting them to paying customers. Salesforce provides you with tools for managing licenses and for tracking prospects who install your app. Later in the module, we discuss how you can provide support to your paying customers, keeping them happy and building your reputation as a great AppExchange partner. We give you some nifty tools to make it easier to troubleshoot problems and get your customers back in action in record time. When a prospect or customer installs a managed package containing your app, the contents of that package become available to users in that customer’s org according to the terms of your license. These terms dictate who can use your app, and how long they can continue using it. ISVforce partners develop solutions that run on the Salesforce platform, and they sell to Salesforce customers only. OEM partners embed the Salesforce platform in their own specialized solutions to sell to customers outside of Salesforce. ISVforce and OEM apps both come with user licenses that grant access to the managed package their creator distributes. OEM apps also embed a Salesforce platform license with each managed package license. When you sign your Salesforce partner agreement, you license the use of Salesforce technology for your business. That license arrangement affects how you license your products to your customers, but it’s a separate agreement between you and Salesforce. In this module, we discuss only the user licenses in the first bullet: the licenses you grant to your customers to allow them to use your app. If you’re interested in more general licensing details, the Salesforce Partner Community has the lowdown on ISVforce and OEM licensing (login required). Your licensing scheme determines your revenue stream. Everyone’s business model is different, so Salesforce provides you with a couple of licensing options you can offer to your customers. You grant access to your app to a given number of users (seats) in a customer org. That org’s admin assigns seats to specific users in the org. If more users need access, you can give them more seats. Your app is available for use by all users in a customer’s org. In deciding on a licensing approach, think about how you prefer to make your app available, and who your customers are. Do seat licenses make sense, or does everyone in an org want to use your app? When customers install your app, they get the license that comes with the app by default. Whatever type of license you choose for the default, you can always adjust it later for specific customers. Suppose a customer decides to give your app a spin and buys five user licenses. After they realize how awesome your app is, they decide to roll it out to all 50 of their employees. Because they only have five licenses, the additional 45 users can’t use your app until you grant them more licenses. We give you tools to work with your customers to meet their needs, adjusting license terms if and when it makes sense. We show you how in the next unit. We offer you a variety of options for managing your customers’ licenses. Aside from controlling who gets to use your app, you can set a license to expire after a given duration. This lets you give your customers a free trial of your app, so they can decide whether they want a paid license. Like license types, you can adjust these time limits to suit the needs of individual customers. You can also temporarily suspend a license if you want to limit access to your app within a customer org. If you’re releasing a free app (and we mean “free” as in “costs no money”), your app still comes with a license. Most free apps are distributed with a site license to keep things simple. If your “free” app is part of a solution that you sell, however, it’s not really free. For example, if you already sell an off-platform solution, and you build a free app to synchronize data between Salesforce and your paid solution, your data synchronizer isn’t free and its license is tied to your solution. For more details on what we mean by free apps, look in the Salesforce Partner Program Policies document, available on the Salesforce Partner Community. In a perfect world, everybody pays their bills. But we don’t always live in that world. If you ever need to revoke a license for a customer that hasn’t paid, you can. As an AppExchange partner, you get special access to features on the Salesforce platform before they’re generally available (GA). What if you could offer the same “sneak preview” of new features to your own customers? Starting in mid-October 2017, you can give your power users exclusive access to bleeding-edge features in your product using Feature Parameters. We give you three different options for doing this. Pilot features—Sometimes a feature isn’t GA, but it’s still useful to one or more of your intrepid customers. A pilot feature is a feature you can push out to certain users to see how they use it. Dark launches—If you’re shipping a new version of your product, but a feature isn’t quite ready for prime time, don’t rip it out of your code just yet. With a dark launch, you can ship your app with the feature disabled and enable it when you’re ready. This approach makes for more continuity and less drama. Two-step enablement—If the new version of your product has a feature that significantly changes how your customers use it, let them choose when to enable it. Two-step enablement gives a customer the new feature but keeps the feature disabled until the customer elects to start using it. We elaborate on these options later in the module. Your relationship with a customer begins when that customer installs your app. If they like it, they pay you for a license. In return, you provide them with a working product and make them feel extra special when they need a helping hand. Define a customer’s experience, starting with the installation of the app, and identify ways to help them achieve their goals. Train your support staff on the Salesforce platform, and get them talking to customers. Work with your customers to understand any issues they experience with your app in their orgs. In this module, we give you tools that make this process easier. Establish a plan for releasing updates to your customers. Are you using push upgrades, or do your customers upgrade manually? How do you communicate the upgrade process to customers? See our App Upgrading for AppExchange module for more details. This cycle repeats as you plan and implement new features, take on new staff, evolve your marketing strategy, and grow your business. Now that you’ve got the lay of the land, let’s talk tooling. In the next unit we introduce you to the License Management App, which does just what it says.